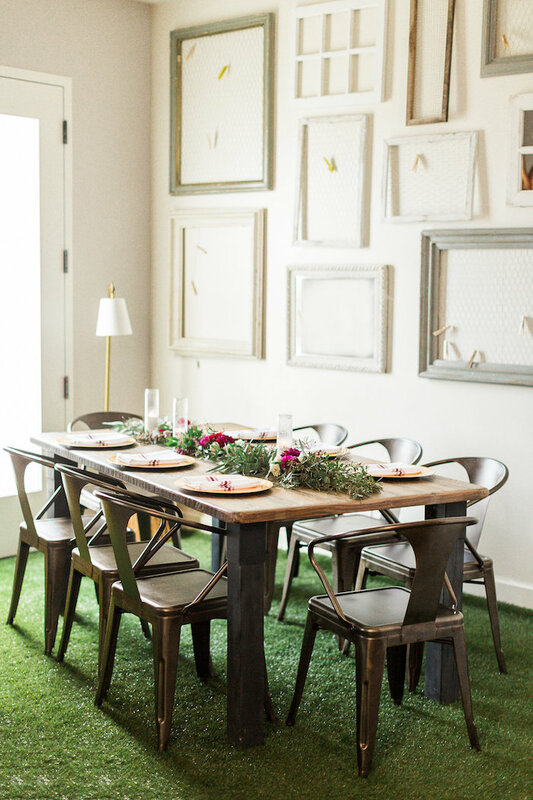 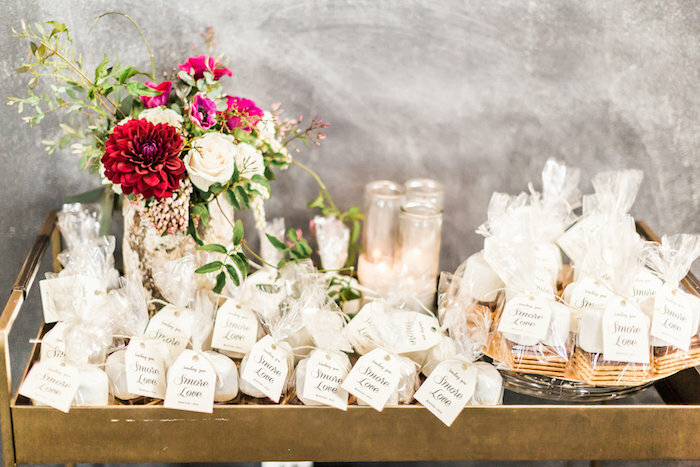 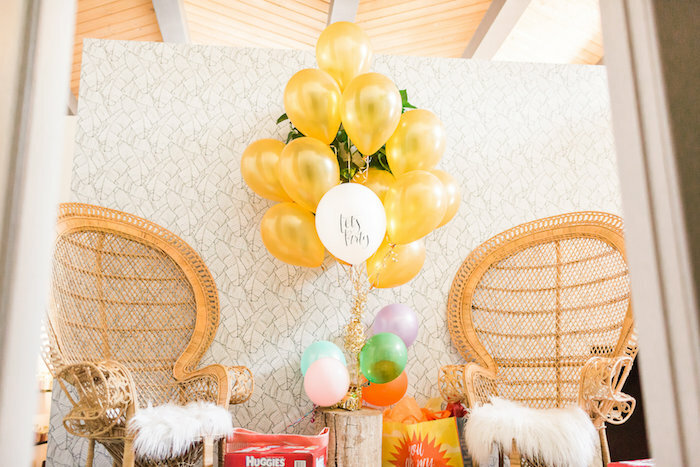 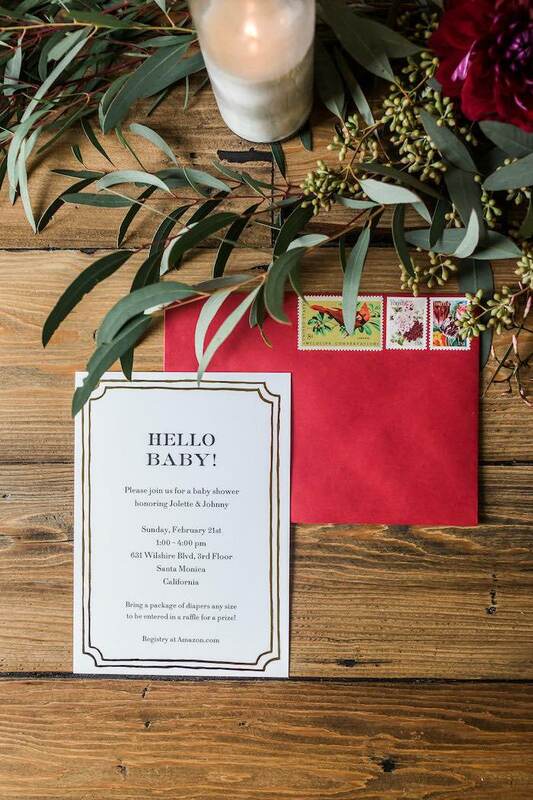 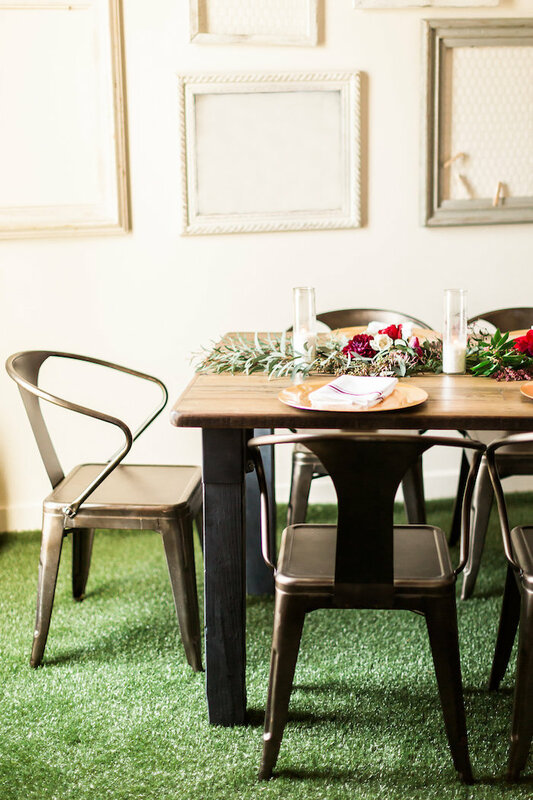 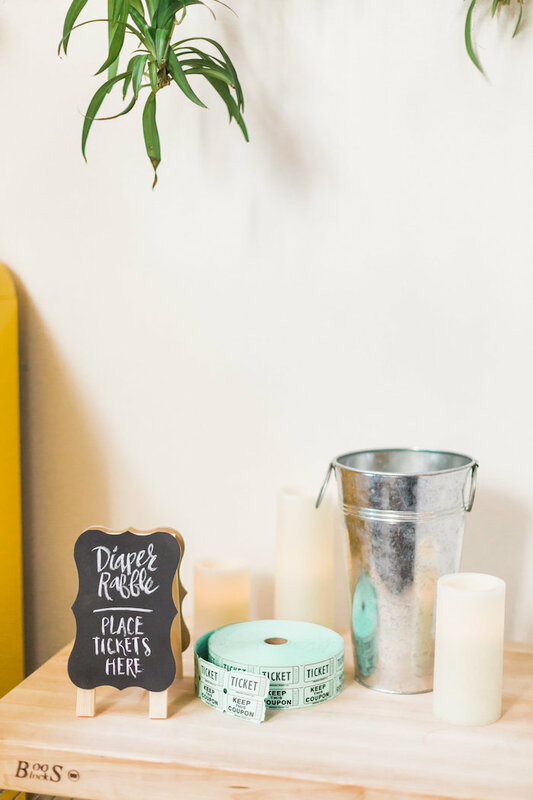 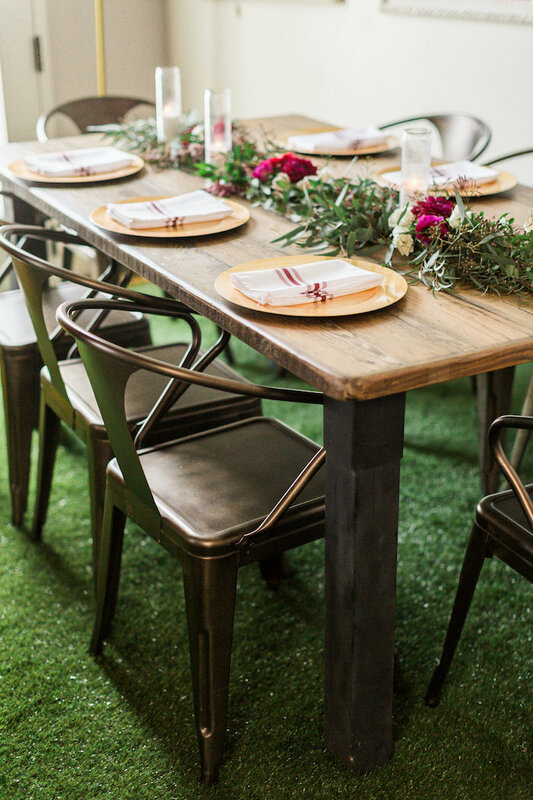 Get ready to swoon and sway because this exquisite Modern, Rustic Baby Shower is coming your way! 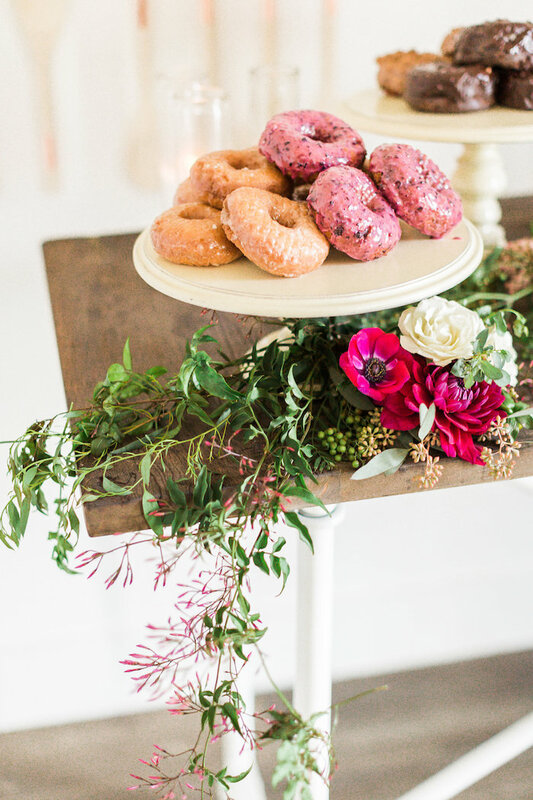 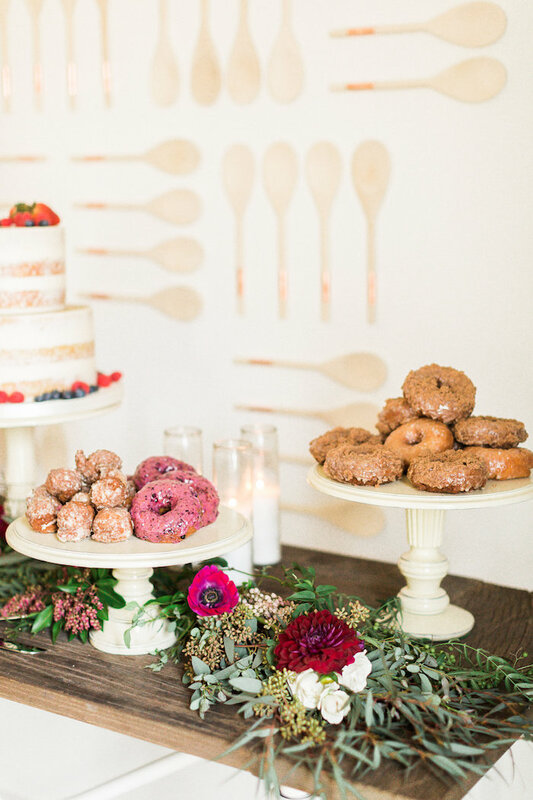 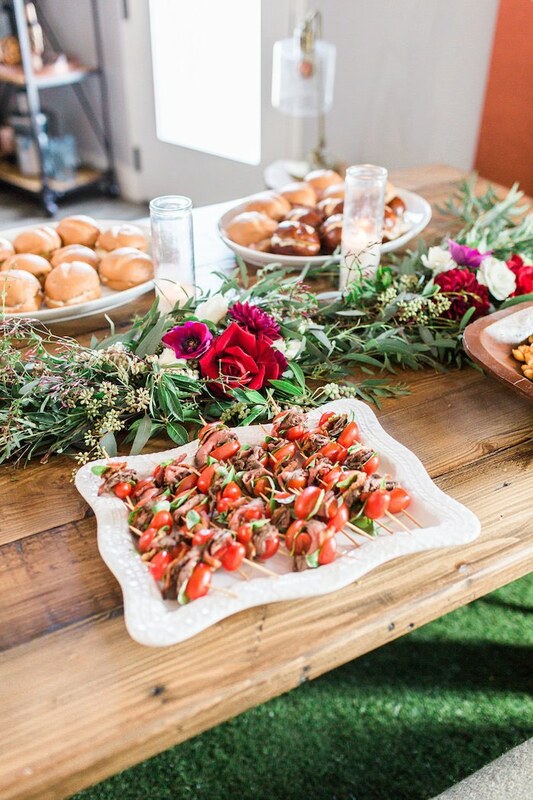 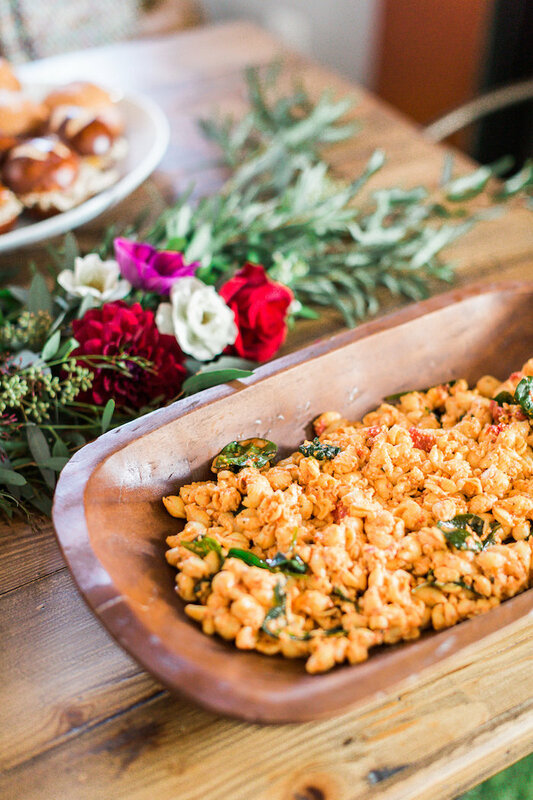 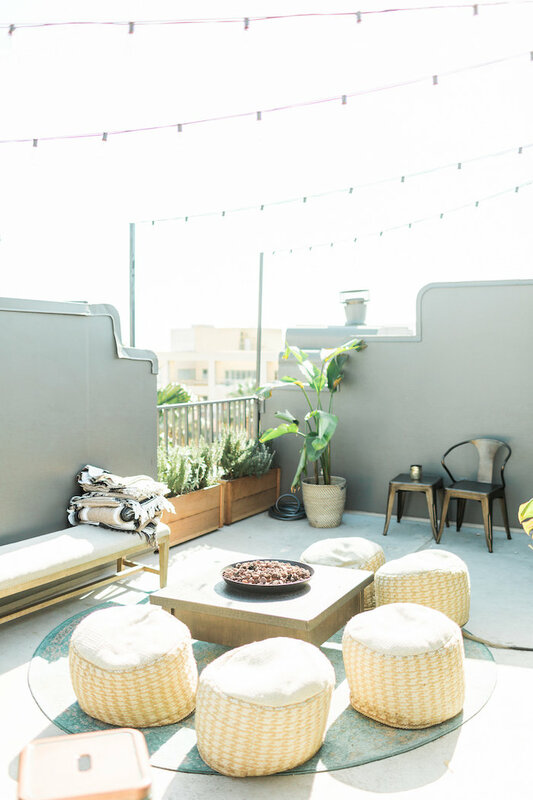 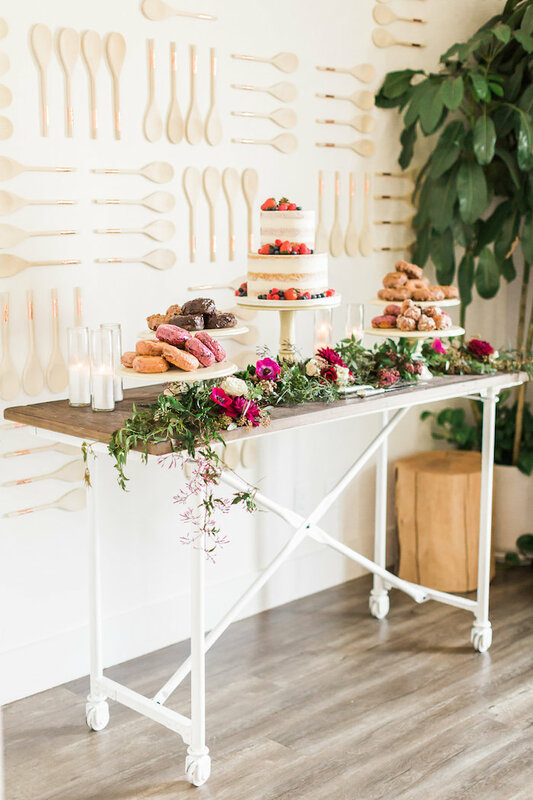 Submitted by Jolette Booth out of Santa Monica/CA/USA; this beautiful occasion, showcasing rustically modern tables, lush blooms and yummy sweets will inspire you to levels unforeseen! 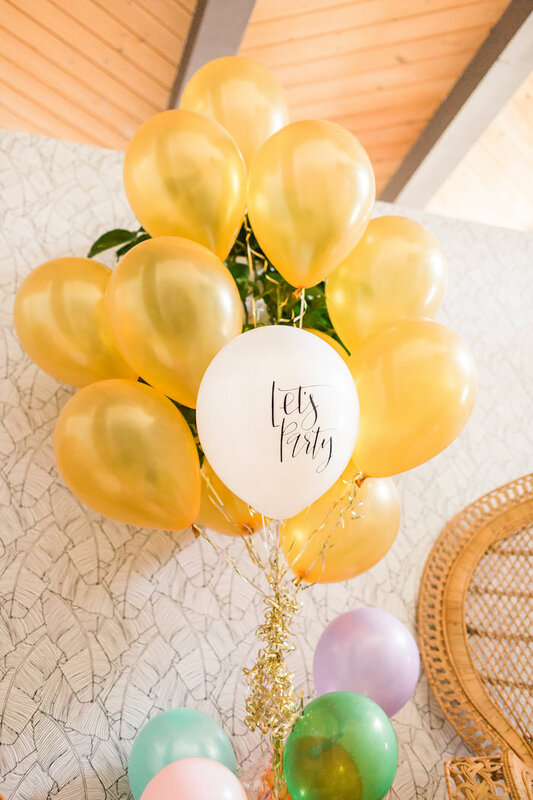 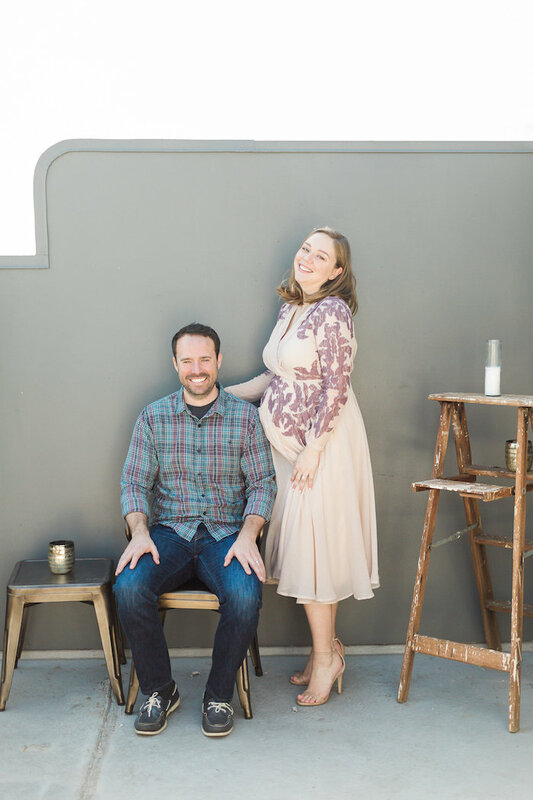 This is what Jolette shared about the party- “When my husband and I found out I was pregnant with our first baby the day of our 5 year anniversary, we were so thrilled! 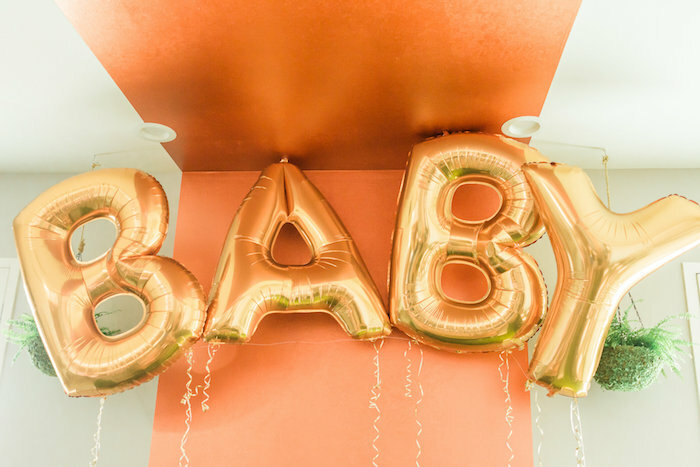 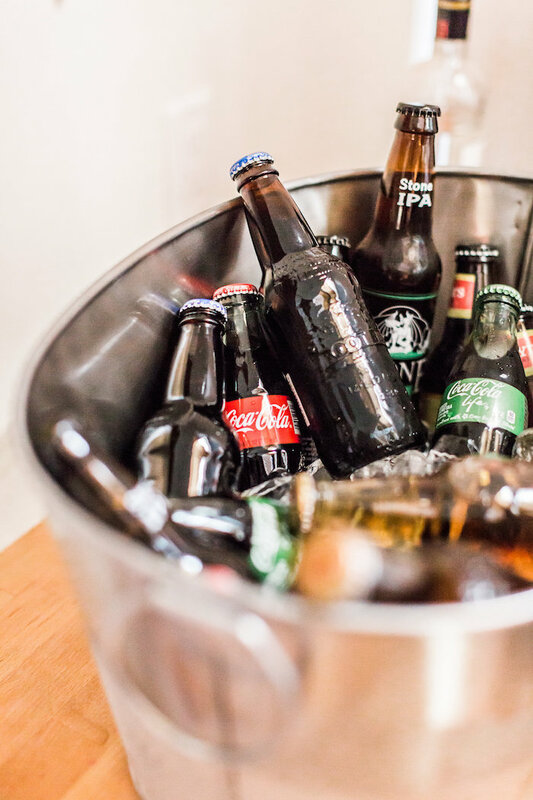 We couldnt wait to celebrate with loved ones our soon-to-be arrival. 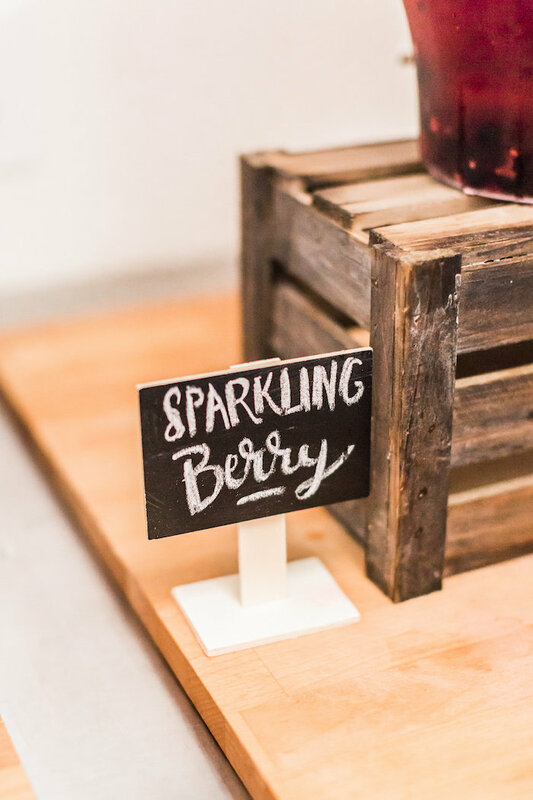 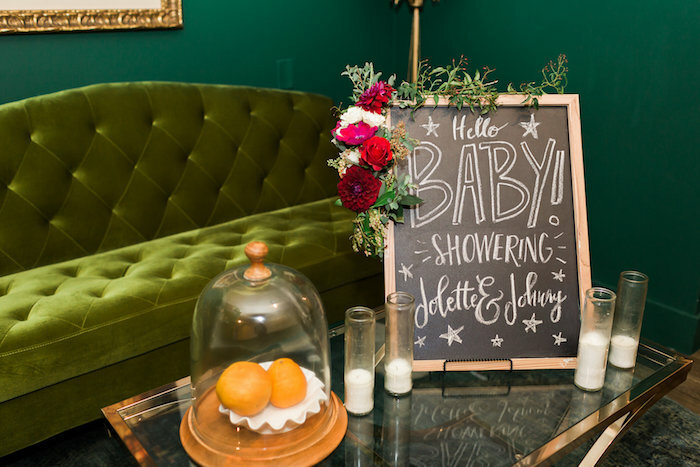 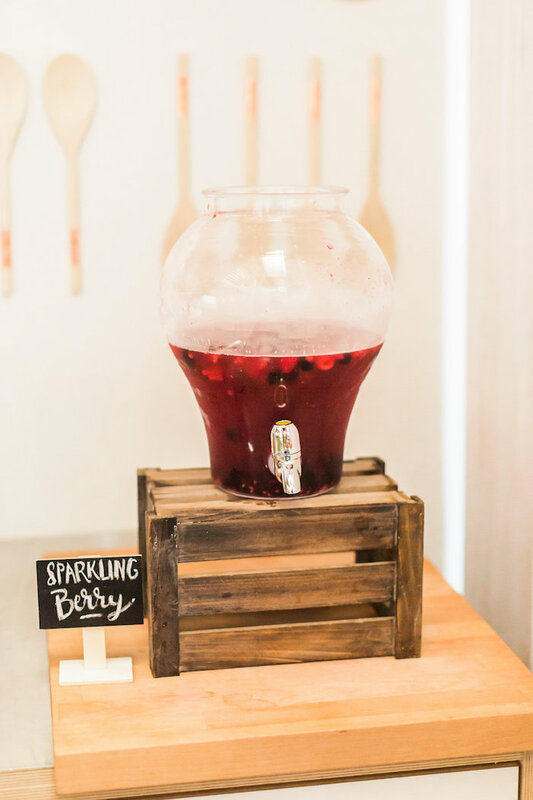 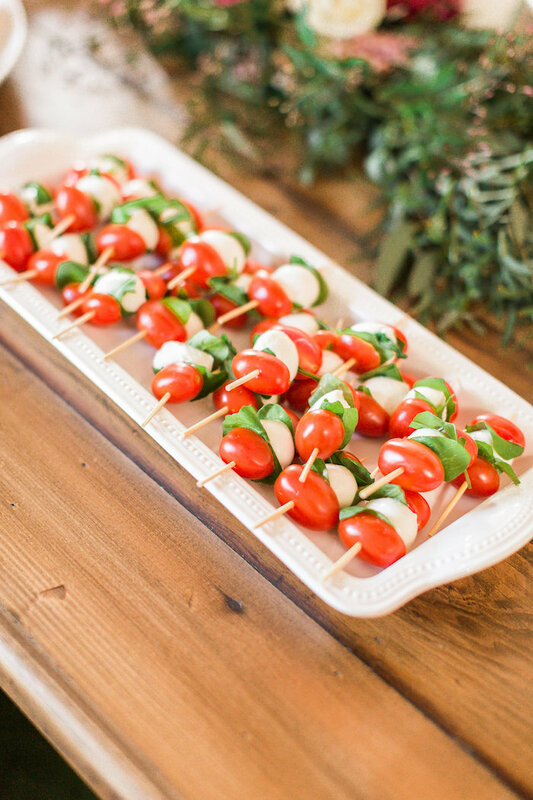 The baby shower was a great opportunity for us to express our own style by developing all of the details ourselves. 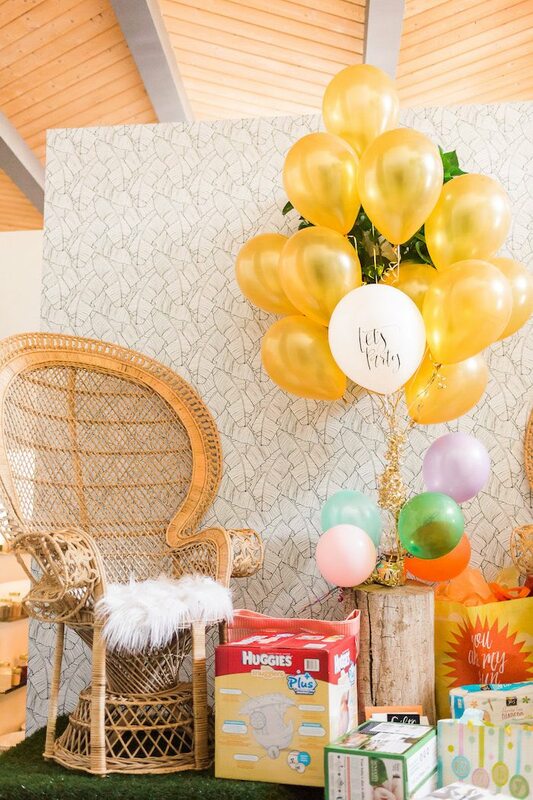 I definitely knew I wanted something modern and not quite your typicalbaby shower. 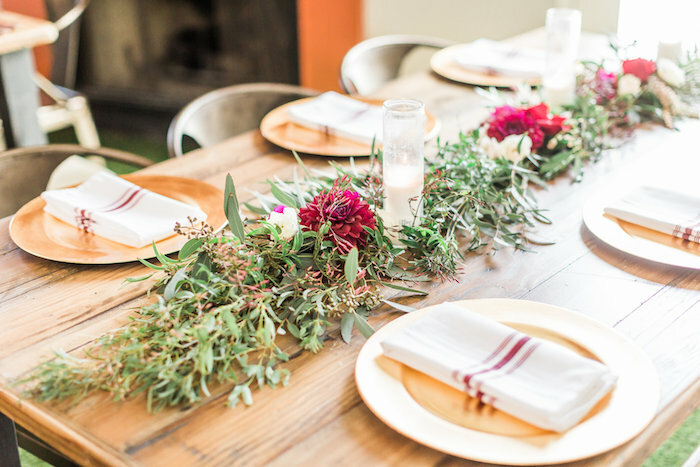 All of this, while still tying in traditional elements. 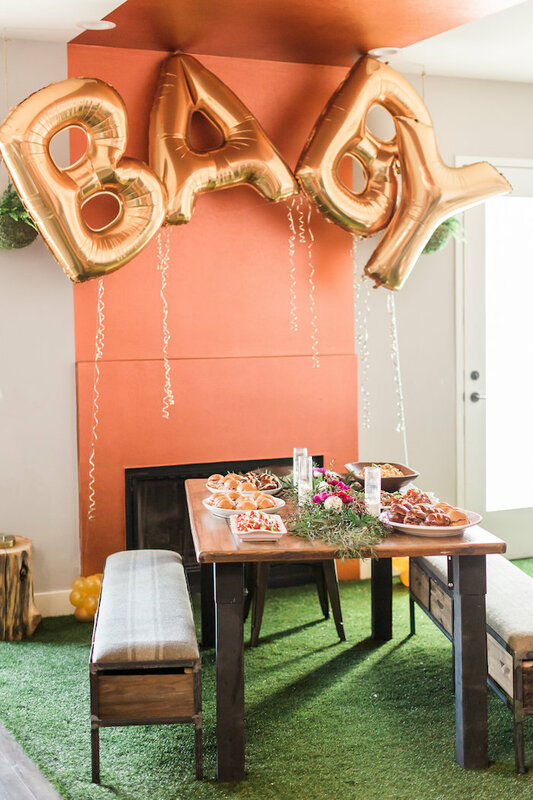 My baby shower was going to be in the late winter. 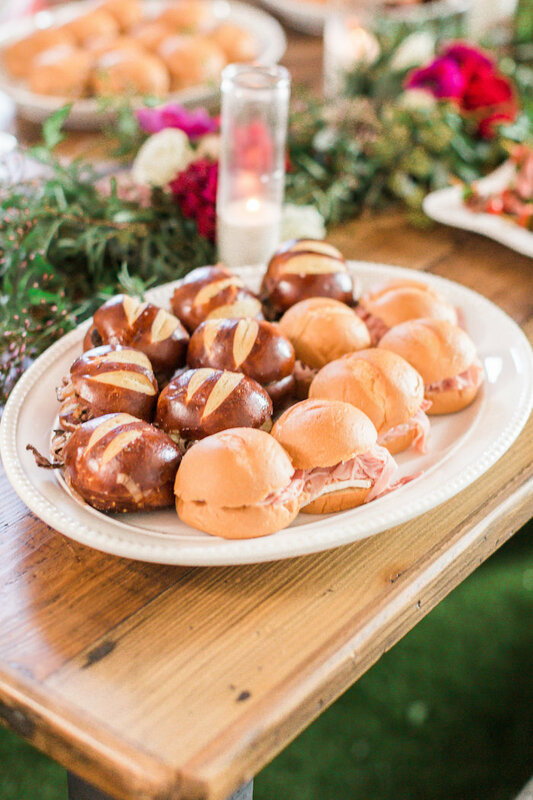 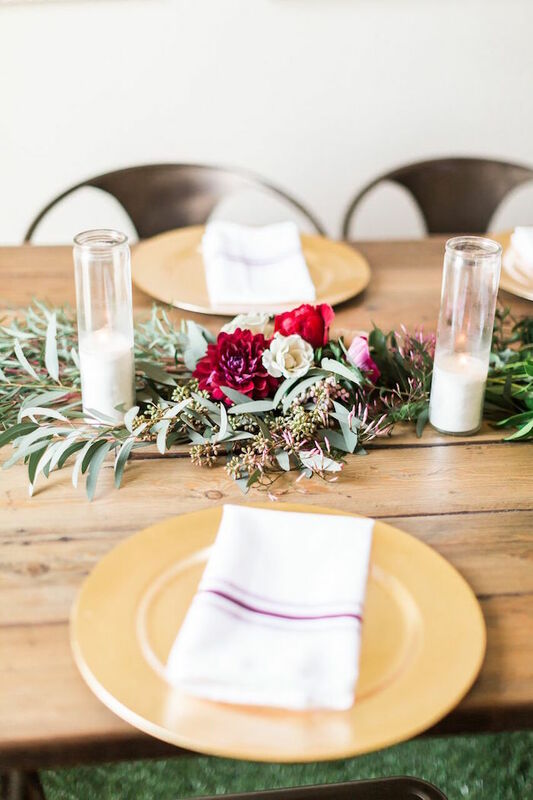 For this reason, I thought a modern, rustic theme with a romantic color palette of burgundy, pink and white with gold accents would be fitting since we would be celebrating right around Valentines Day. 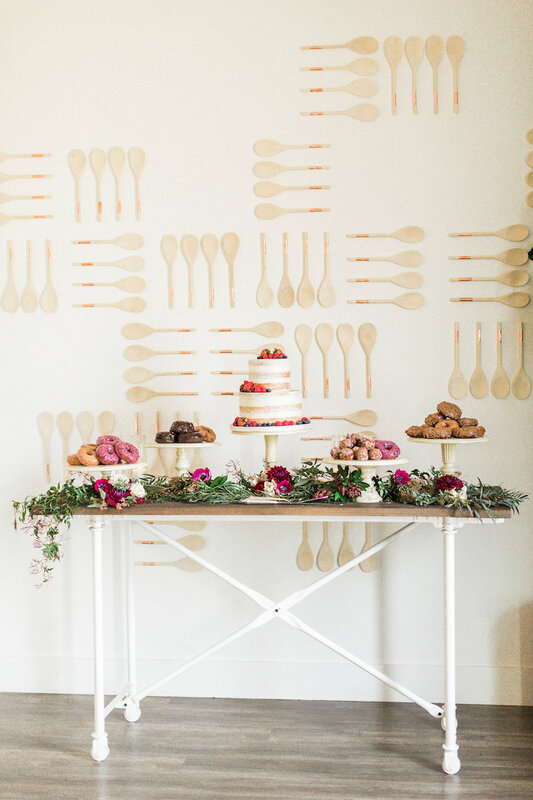 Knowing that the backdrop was going to be a focal point, we started our search for the perfect venue first. 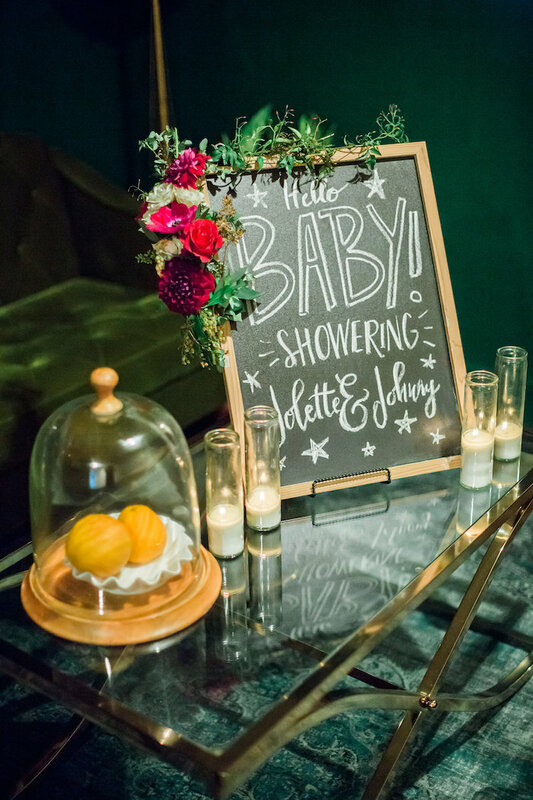 The impeccably designed, Stage and Table located in Santa Monica, set the ambiance for the baby shower. 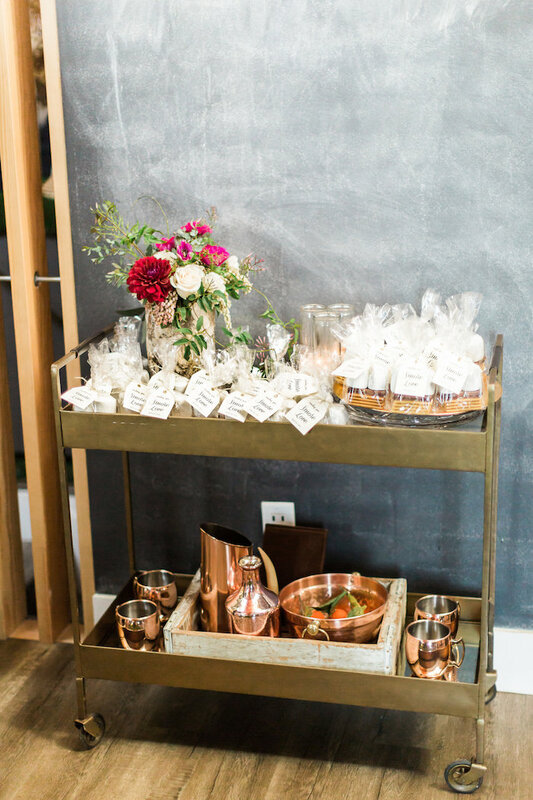 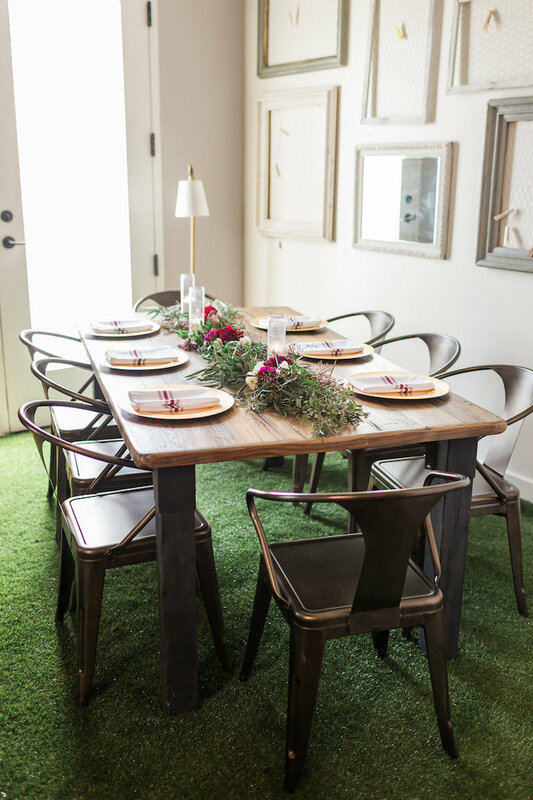 Its modern design with rustic, eclectic touches truly created the perfect mood. 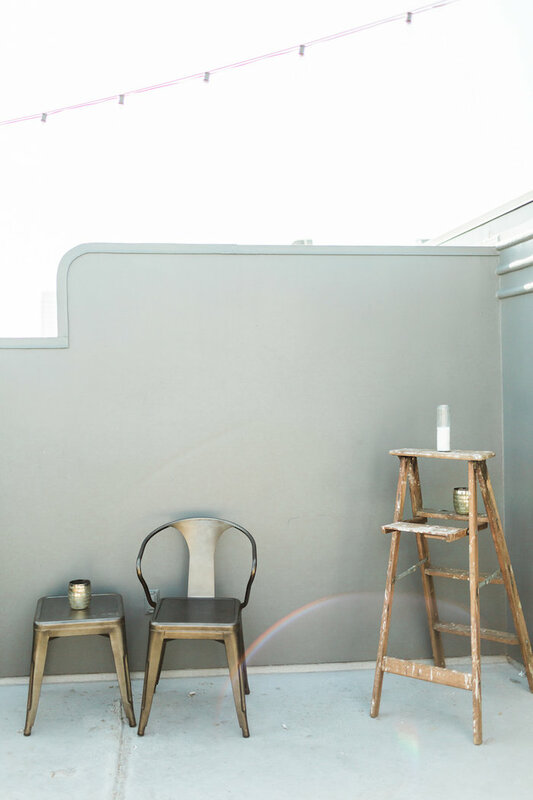 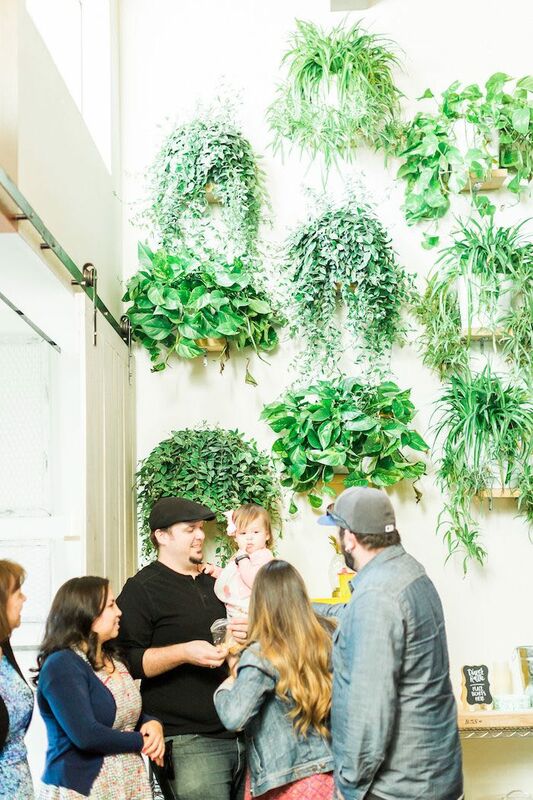 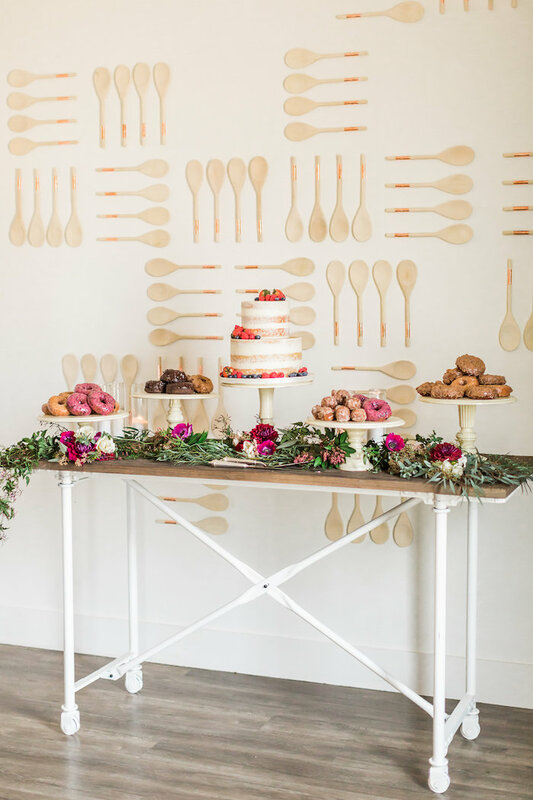 From the wall of wooden cooking spoons which was perfect backdrop for a dessert table to the cozy outdoor space, they already had so many wonderful details that fitted our vision. 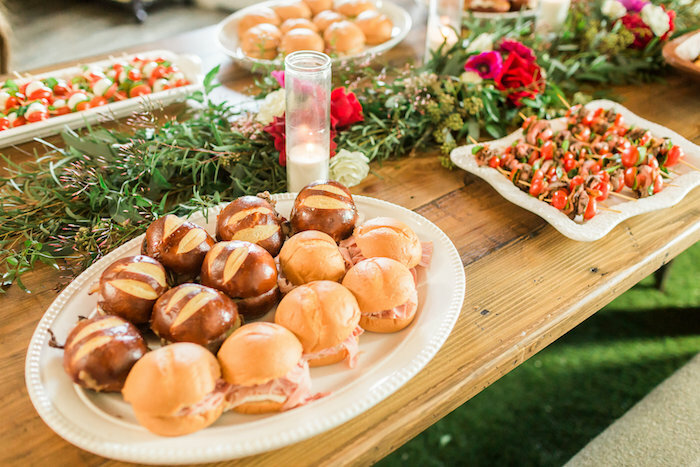 From that point, the venue really provided the spring board for all the other elements. 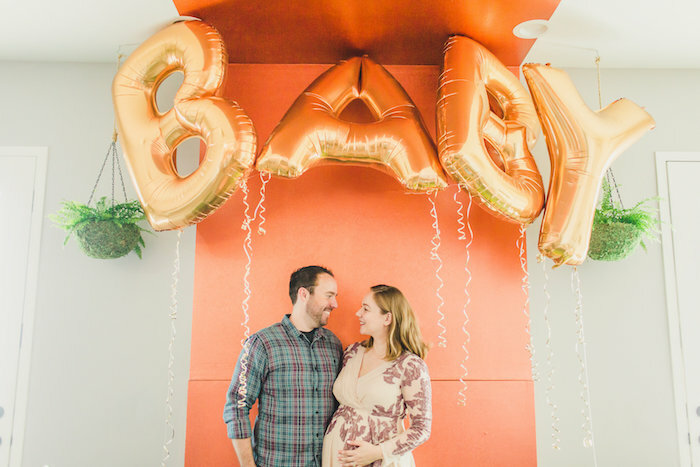 My favorite details were the little DIY projects our family helped us with. 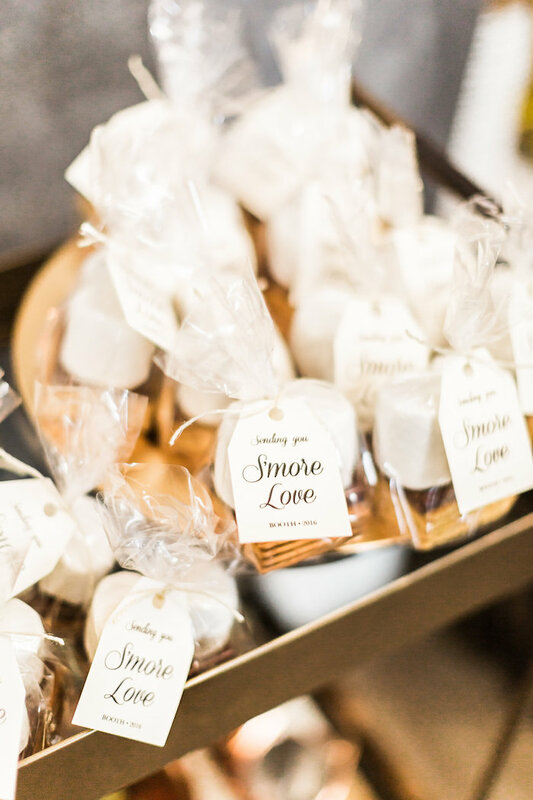 My mother-in-law helped design the Smore Love favor tags and my sister-in-law and brother-in-law, both being artists, hand designed all our signage! 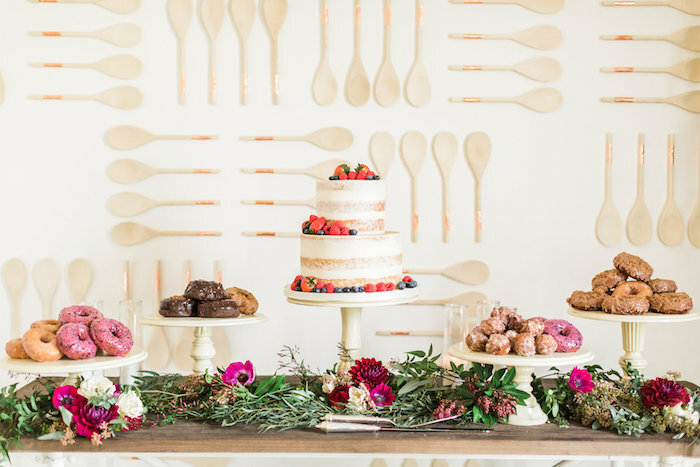 Our beautiful cake was crafted by The Buttered End Cakery. 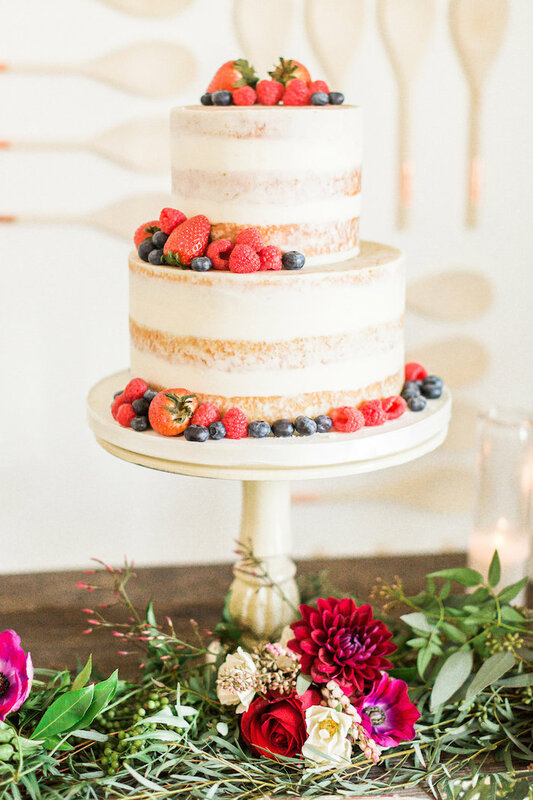 I supplied them with a few inspiration photos and they re-created the most delicious naked cake with a gorgeous fruit garnish tying into our modern/rustic theme. 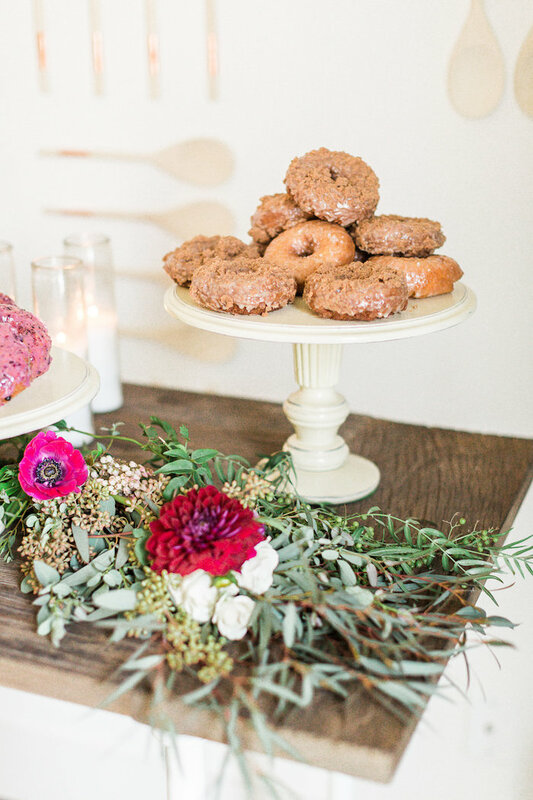 Sidecar Doughnuts, which is conveniently located in the same building as the venue, provided the scrumptious doughnuts, all of which were displayed on our own vintage cake stands. 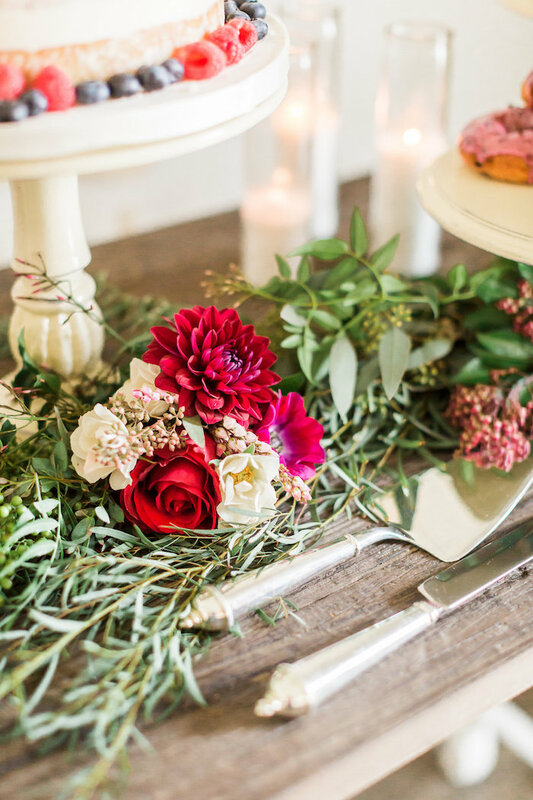 The tables were adorned with gold plates, tall white candles, maroon stripped cloth napkins, and of course lovely florals. 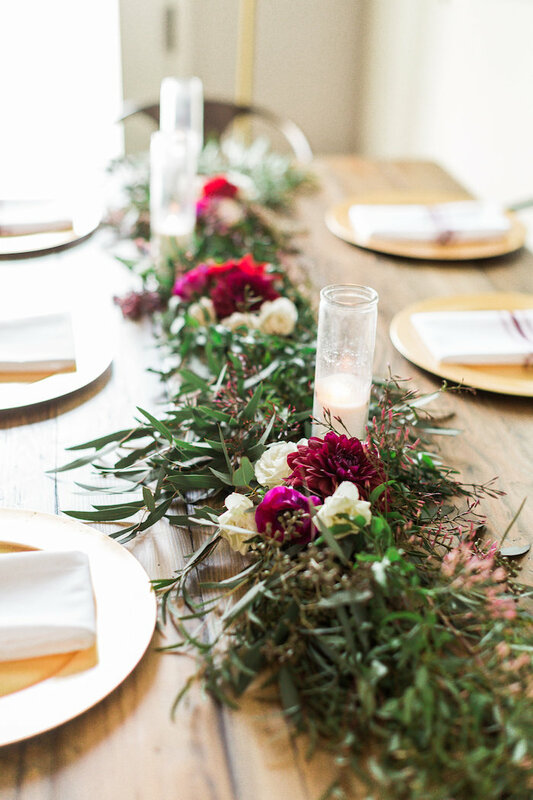 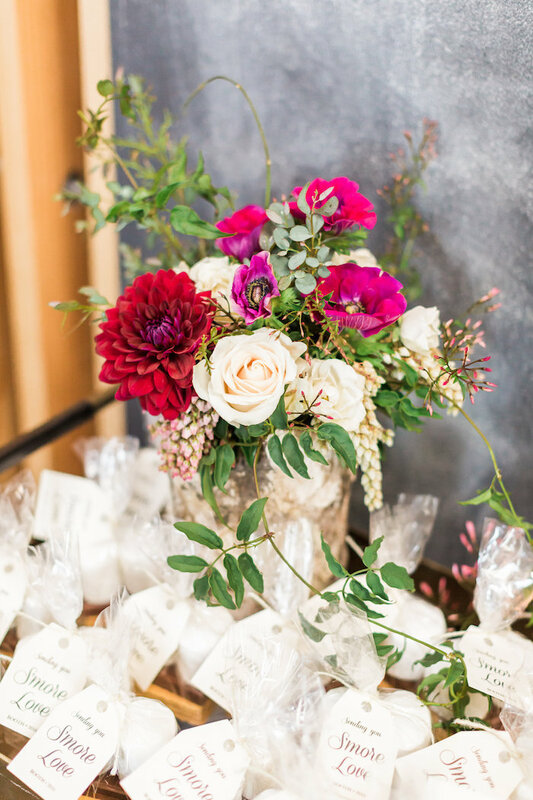 The immensely talented Yen from Ezai Floral Design created the gorgeous garlands and floral pieces using lots of dark leafy greens and clusters of rich burgundy flowers with blush pink and white flowers The floral arrangements added the perfect touch and tied everything together beautifully.